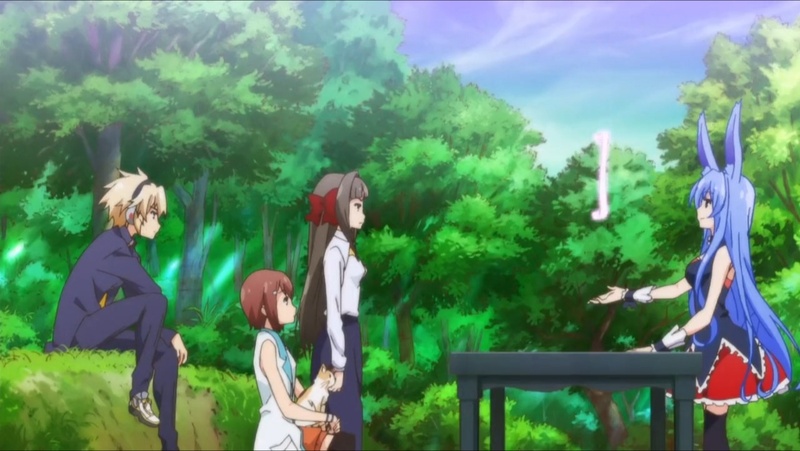 I Blog Anime: [New][January 2013] Mondaiji-tachi ga Isekai kara Kuru Sou Desu yo? [New][January 2013] Mondaiji-tachi ga Isekai kara Kuru Sou Desu yo? Summary: Three children, all with super natural powers, received a strange letter and are transferred to another dimension to...play games? First impression score: 83 - Um...WTF? Yeah, I'm quite enjoying this one as well. It's like Alice in Wonderland with a different spin to it. As for this season...I think it's...um...horrible. I'm dropping series left and right. In fact, I think this has been a season that I'm following the fewest series since the beginning of this blog. They're just so...not interesting. Right now, this, Maoyuu, Sasami, Kotoura-san, are the only ones I think worth actual effort in following.